Late post as usual but this post is about last September and first test sailing with the Blade. It took quite amount of time to finish her to be ready for getting wet and after cutting some corners (i.e. 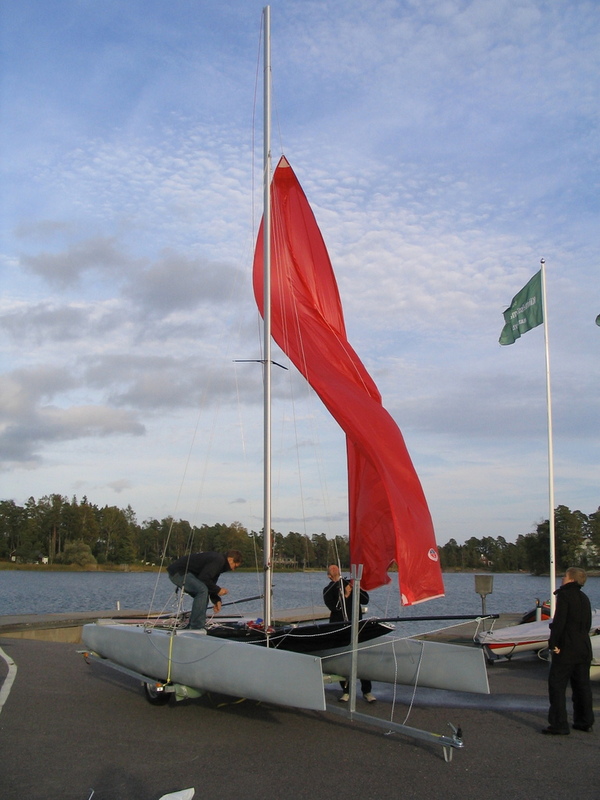 temporary adjustments) everything was ready for some sailing. Setting up last bits of rigging on Saturday 15th of September she was ready to be launched on 16th with only main sail. Even with only one sail I was pretty happy with myself as the picture below shows ;). 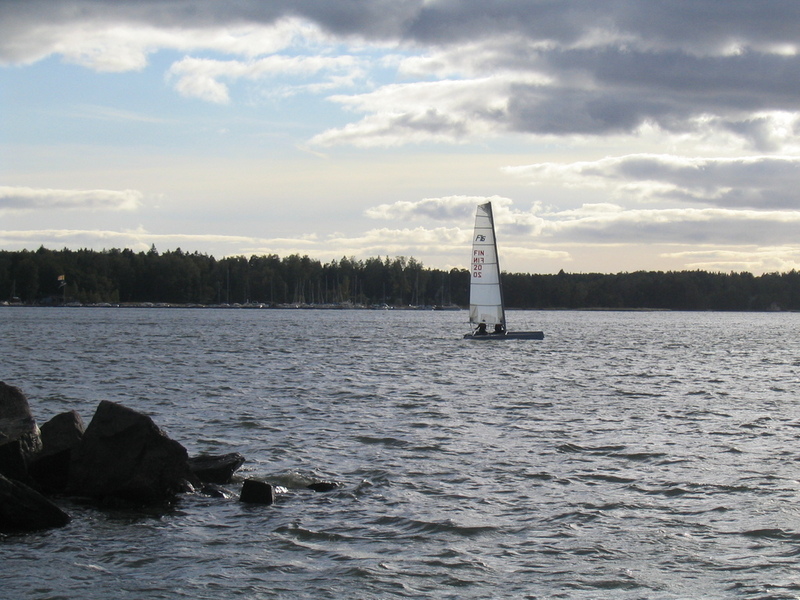 We sailed few hours, just trying to get some feel about new boat. Because the wind was pretty light we didn’t get to fly the hull just yet. Next weekend I got also the spi rigged. 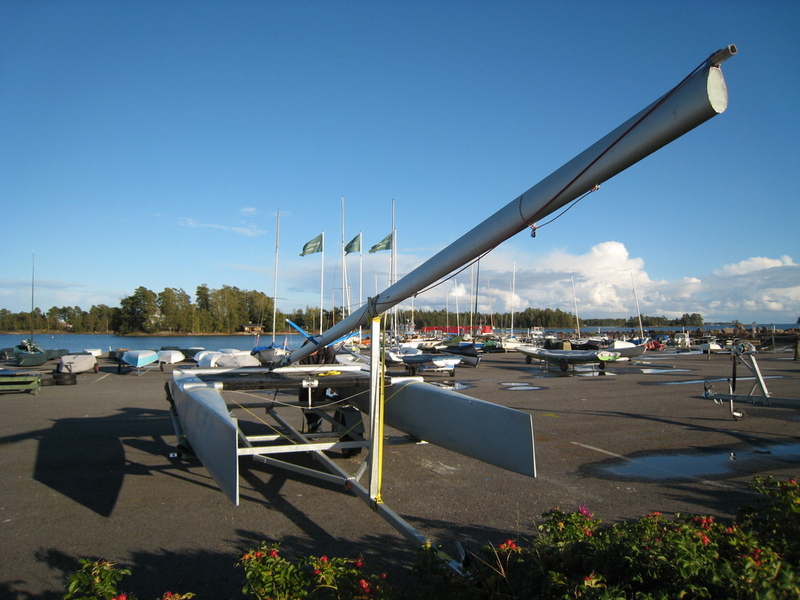 The jib was left for next spring because I didn’t have enough time to work with boat, I promised to my wife that sailing season ends at the end of September (our first child was born in early October). The spi snuffer was too tight and thus snuffing the spi wasn’t fast enough, so it needs to be replaced during winter. I didn’t have a camera with me when we tested the spi on water, but again on Sunday 23rd of September the wind was pretty light, maybe around 6 knots on gusts. We measured 12.3 knots on the GPS and flew some hull with the crew on leeward hull :). 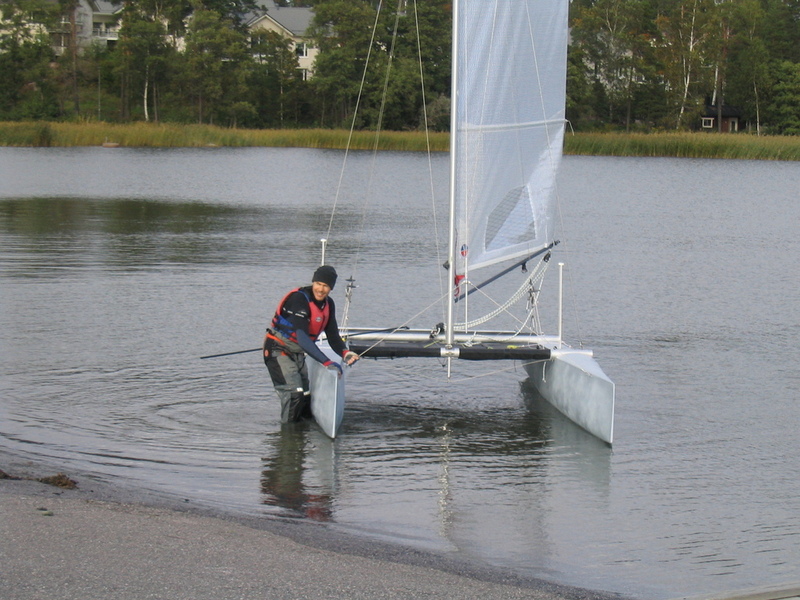 So the sailing tests were successful but there is still rigging stuff to do during the winter. I’m also committed to do some repainting so that the finishing will look better. 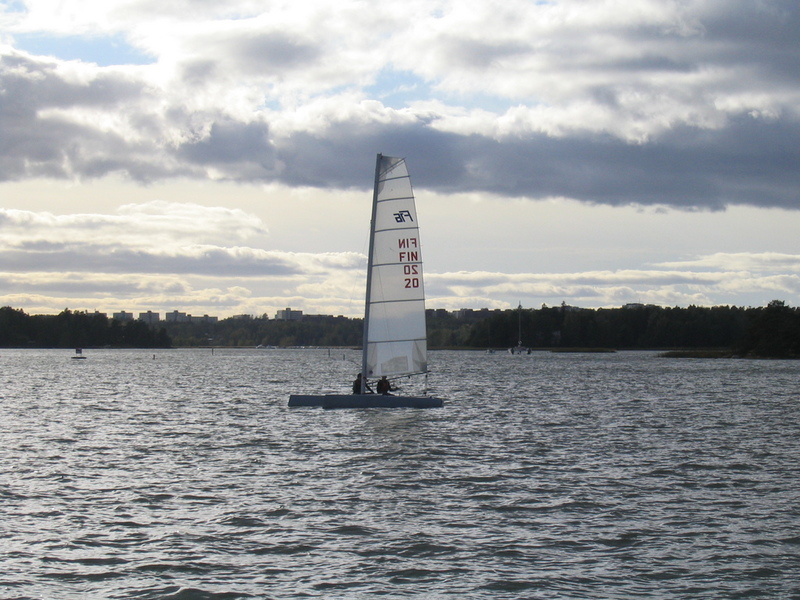 On top of this I need to redo my bottom/rudder of my keel boat and do some DN sailing… Boy my winter seems to be busy ;). You are currently browsing the Projects weblog archives for January, 2008.